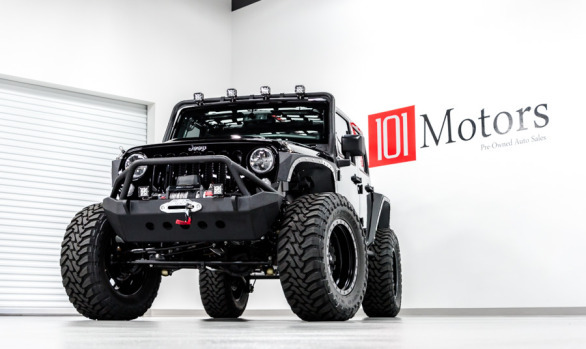 Here at 101motors.com, we build all of our custom Jeep wranglers in house. 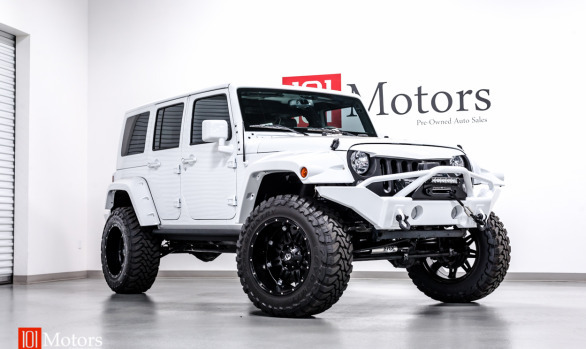 We always start with a brand new Jeep Wrangler, during our building process we never cut corners or use lower quality parts for the sake of increasing profits. Please take a look at the parts used and the quality of the installation process, our photos show it all! We pride ourselves on our attention to detail and our through research and testing of all the parts we choose. 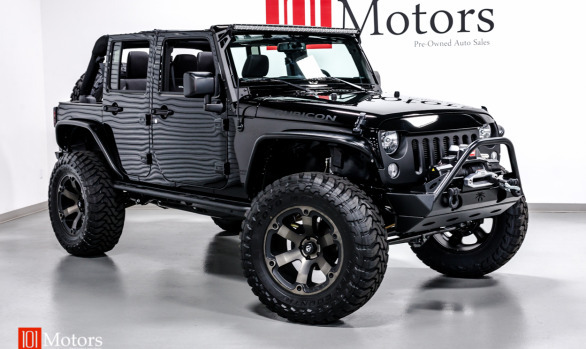 All Jeeps undergo a rigorous quality control process before we can certify it is as a 101 Motors custom Jeep. Only then would we free it’s ready to be shipped to our clients! 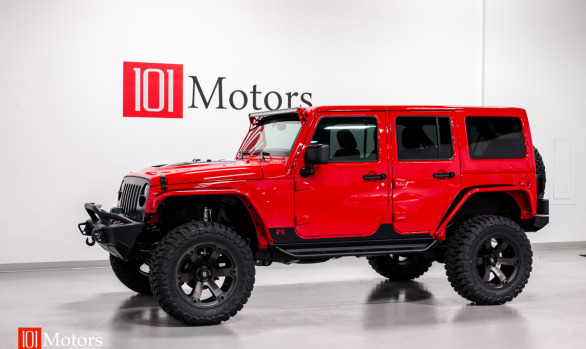 If you see a certain Jeep that isn’t exactly what you wanted, we can make minor changes to suit your needs. If this isn’t enough, we can add whatever you wish! 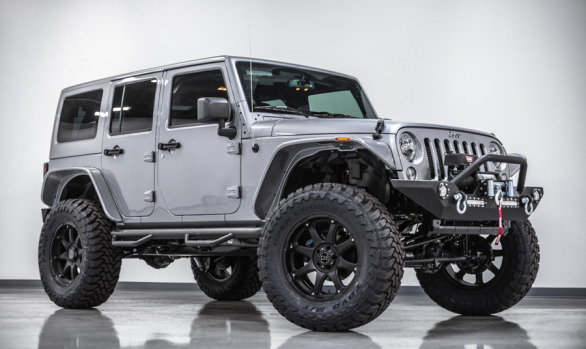 We design our Jeep wranglers to provide the best on road comfort while still capable to tackle even the most demanding trails. 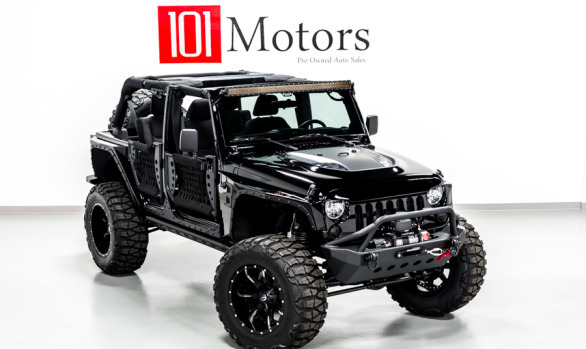 All 101 Motors conversions are built using top quality parts from reputable manufactures to build you the Jeep you’ve always lusted after. 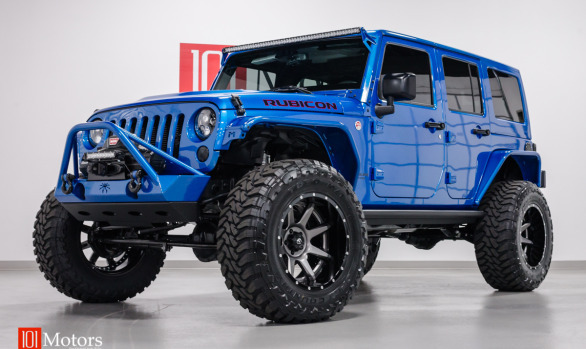 Our goal is to build you the best-looking and best performing Jeep wrangler. We select parts that complement each other and work together to build a superior package. 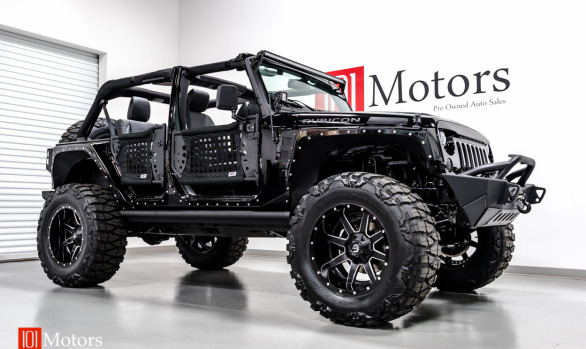 No detail large, or small, is over looked in design or build of these custom Jeeps. 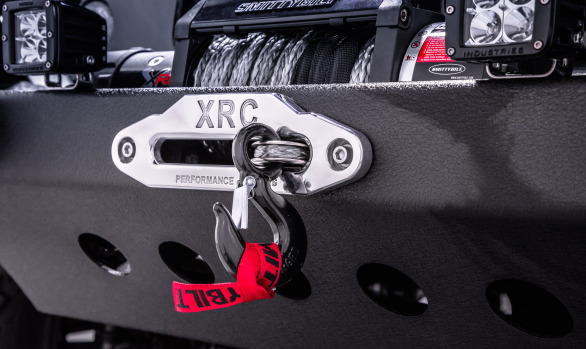 We only use tried and true suspension systems from well-known manufactures that result in factory steering angles, which allows for the best straight-line tracking and steering feel. Our packages have been thoroughly vetted to give you a smooth on road ride quality while still giving you enough wheel travel to handle even the most challenging trails. 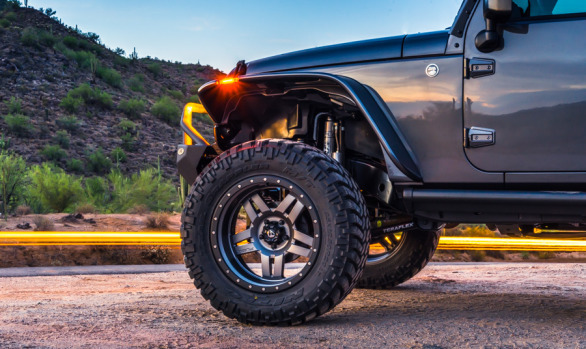 Every lift kit install ends with a laser alignment that ensures proper alignment settings. All exposed factory metal suspension or drive train parts receive a rust preventative coating. We match mount all wheels and tires, a technique that most shops are not even familiar with. This result in the lowest amount of weight needed to balance the assembly and the lowest road force figures. The outcome is, the best possible ride quality period. Leading industry techs with multiple decades of experience perform our wiring and electronics installs. All bumpers and steps are powder coated not painted. All painted accessories are guaranteed to match the factory color and guaranteed not to peel or crack for the balance of the factory warranty. 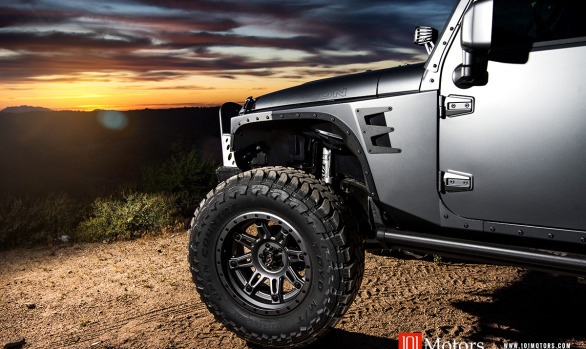 These are just a few of the steps we do to build such a beautiful and competent Jeep Wrangler. 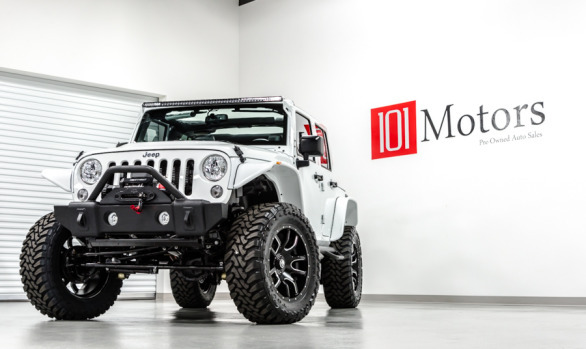 Before we can certify a 101 Motors Jeep as complete, it must undergo a thorough checklist and driving assessment to make sure we have no squeaks, rattles, or noises. We check all panel gaps and fender fitment; we check tire clearance for rubbing issues. 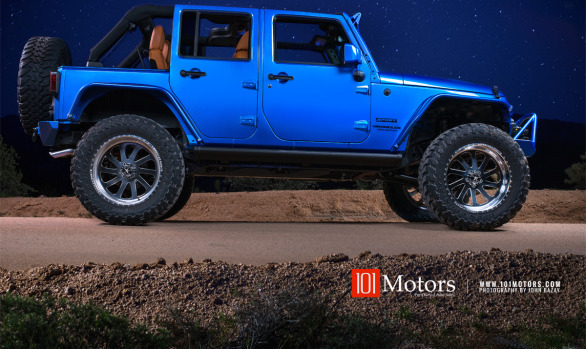 Any added LED lights are function checked; headlights are adjusted to compensate for the higher ride height. Simply put, we make sure that all items are installed correctly and will continue to perform for years to come. 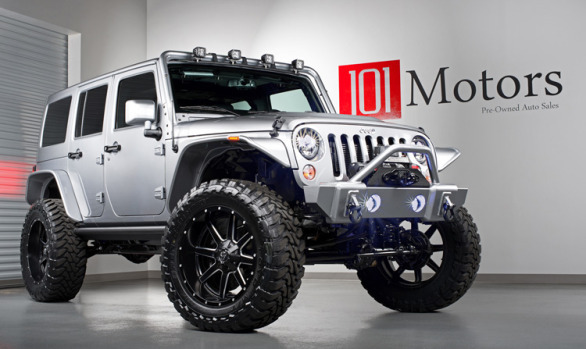 101 Motors is located in sunny Tempe Arizona, just 5 minutes from Phoenix Sky Harbor Airport. 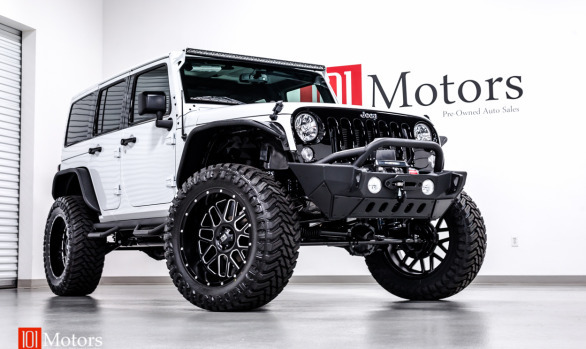 For those who are fortunate and can just stop in to test-drive one of our custom Jeeps, we welcome you to compare our build quality and ride quality to all other competitors. For those who will need to fly in, we provide free Airport pickup and drop off services. 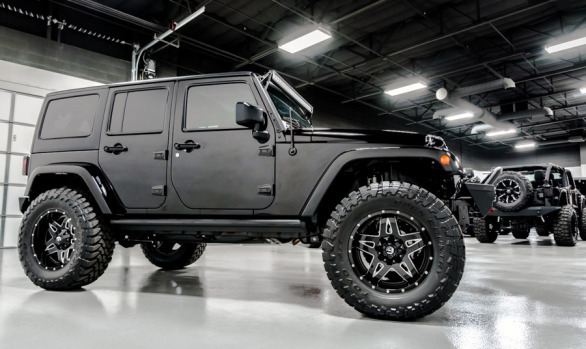 One test drive and you’ll know why people rave about our builds!